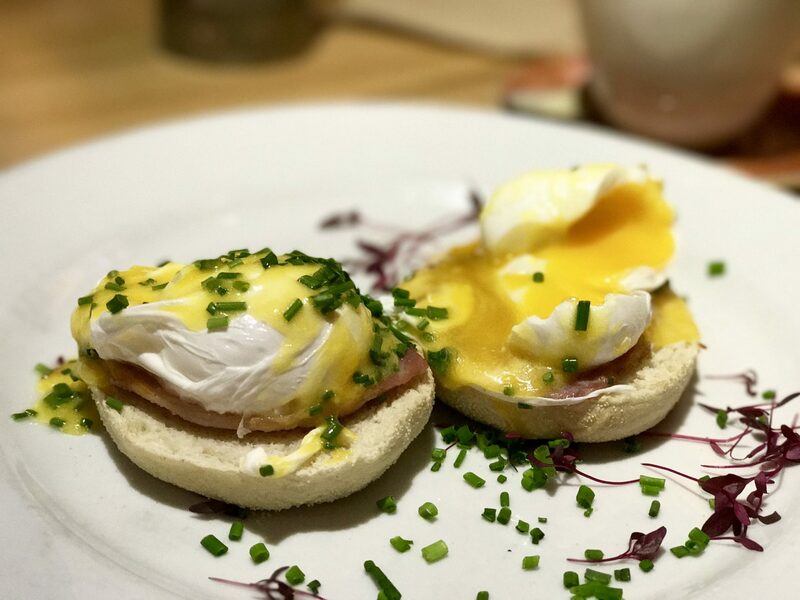 Honestly we didn’t expect much from the food scene in Scotland, and we could not have been more wrong – we easily found good eats in and around Edinburgh that pleased both kids and adults. Yes, if you seek it out you can find Haggis and Black Pudding and all the stuff that has given Scottish food a bad rap. Most restaurants (catering to visitors anyway) serve dishes we can all enjoy without cringing. For those unaware, Haggis is a Scottish specialty made from sheep’s heart, liver, and lungs, minced with onion, oatmeal, suet, spices, and salt, and encased in the animal’s stomach, YUM! Black Pudding is made from pork blood. DOUBLE YUM! We’ll pass thanks. Since neither sounded particularly appealing to us, we set out on a quest to find food that didn’t make us wretch every time we thought about it. 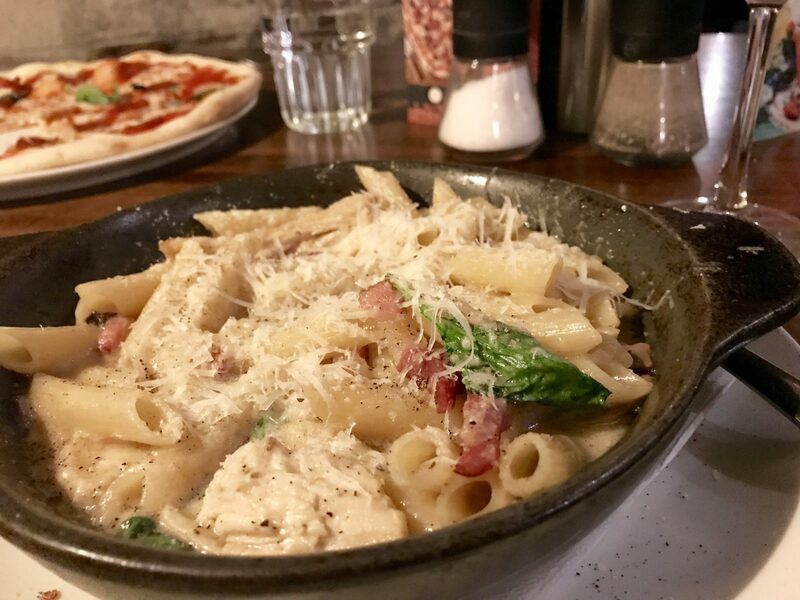 Pastas and pizzas weren’t the only things on the menu at Zizzi, but they were so darn comforting. A group of Italian restaurants with locations throughout the UK, Zizzi was the perfect stop for a casual dinner of food we recognized. It was comforting to be offered pizzas and pastas of many varieties in a great, warm, buzzy setting full of fun people laughing and enjoying each other’s company. Our pastas and pizzas were just as we expected – dependable and yummy. (It didn’t hurt that their Royal Mile location was directly next to our rooms at the Old Town Chambers Hotel). Ahhh, burgers and a beer after a long day of sightseeing? Yes please! Venturing outside of Edinburgh is absolutely necessary, as the sights in the countryside are wonderful – and easy to reach by ScotRail passes. While visiting the Falkirk Wheel and the Kelpies, we stopped into this casual restaurant and pub known for serving local brews. 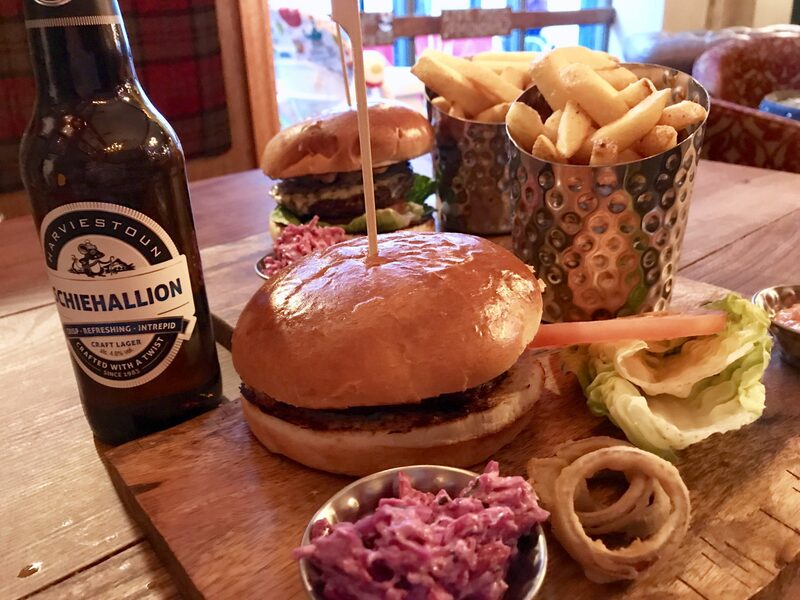 The burgers were delicious, and so were the craft beers I tried, including my fav – Schiehallion. Yup, they all had names I could not pronounce. Abbotsford House is grand and stately, sitting squarely in the countryside near Melrose, Scotland. 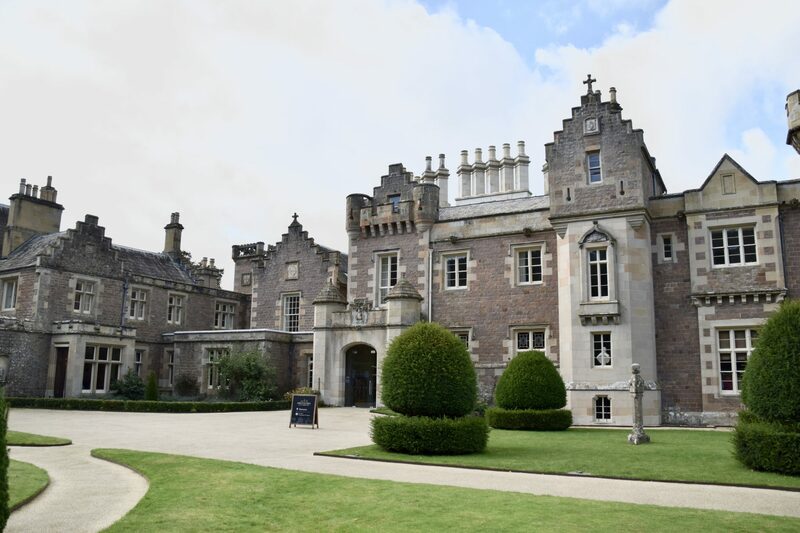 Outside Edinburgh by train to Tweedbank, Abbotsford House is the home of Sir Walter Scott that is now a really cool museum inside his country manor. 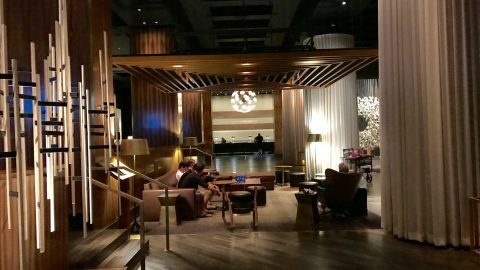 The restaurant is remarkably good, set in a very modern building with contemporary design – completely opposite to the museum design and furnishings. With a light drizzle outside, the carrot soup was the perfect match. Deacon Brodie was one of Robert Louis Stevenson’s inspirations when writing Dr. Jekyl and Mr. Hyde (evidently he was a real life Jekyl/Hyde dude). His namesake tavern serves up really great pub food, and we enjoyed a delicious Fish & Chips platter with a healthy splash of vinegar. The Steak, Amber Ale & Mushroom Pie in shortcrust pastry was also delish. Plus you really have to experience a traditional Scottish tavern while visiting, and this one is reaaaalllly cool. The breakfast dishes at Southern Cross Cafe were a great way to start a day full of activities. This cute little cafe is tucked into an historic building on the way to Waverly Station, and we stopped in for a delicious breakfast. Twice. The Eggs Benedict was perfectly prepared the way I like it, with yolks slightly runny and plenty of salty bacon. Ava had traditional porridge with cream and honey, and she gobbled it right up. The fresh morning rolls were the perfect topper. Can you believe how beautiful this dome is? It was awesome to eat delicious food in this gorgeous setting. Within easy walking distance of the Royal Mile, The Dome really needs to be seen for full effect. 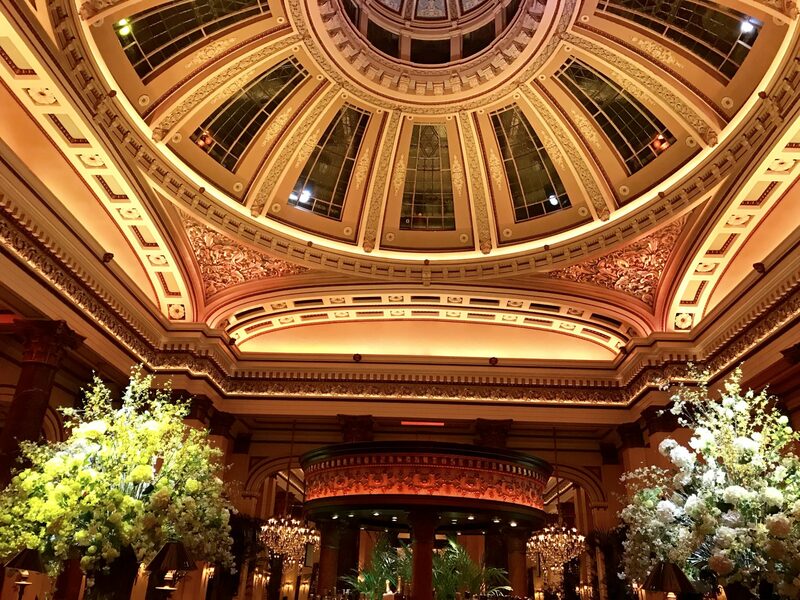 It’s design is so stately and dramatic, with the bar sitting directly under the enormous dome of the building, with the restaurant surrounding it. This is fine dining, so pull out that nice sport coat you packed for occasions like this and treat yourselves to dinner here in The Grill Room under the enormous dome. 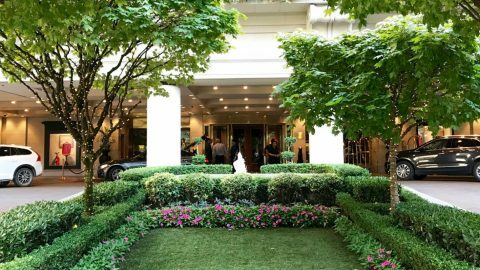 Whatever you order will be fantastic (our steaks were among the best we’ve ever tasted), but the surroundings are the true star here. There are plenty more great places to eat, so don’t worry. You will only need to eat haggis if you order it on purpose, you adventurous soul you! Loving your posts on Scotland. We are going with our 12 year old son in March. Appreciate the tips and photos! You are going to love Scotland! We loved getting out into the countryside too – the rolling green hills are so impressive. Thanks Louree – appreciate your kind comments! I’ve been dying for a trip to Scotland. But one thing that didn’t have me excited was the food. I’m glad that there’s some great options to fit all tastes! We felt the same way when traveling to Scotland. We pleasantly surprised by the amazing food scene. However, my 3yr old son actually LOVED the haggis. Darcee is a big lit nerd so when she heard of RLS’ Deacon Brodie, she begged me to go there. It was awesome. We had Haggis for the first time and lots of Gin! What a cool place on the Royal Mile! Loved Ediburgh! It’s funny: I’m British but have never been. Did you eat Haggis? I have actually eaten Haggis once, and it’s delicious. Glad you enjoyed your visit, but did no one tell you about vegetarian haggis? You should have tried it it’s actually really nice. NO! They did not tell us that, or we would have tried it. Should have asked you first.